DUI with .20 BAC in King County District Court = Case Dismissed! DUI with .24 BAC w/ Car-Pedestrian Accident in Seattle Municipal Court = DOL Hearing Won! No DUI Conviction! BUI with .20 BAC in Mercer Island Municipal Court = Case Dismissed! DUI with .149 BAC in Snohomish County District Court = DOL Hearing Won! No DUI Conviction! BUI with .13 BAC in Renton Municipal Court = Reduced to Civil Ticket w/ Minimal Fine! 2nd DUI in King County District Court = No DUI Conviction! Hit & Run With Significant Damages to Government Property = Case Dismissed! Assault Recorded on Video in King County District Court = Case Dismissed! DV Assault in King County District Court = Case Dismissed! DV Assault in Issaquah Municipal Court = Case Dismissed! DV Assault and Malicious Mischief in Lynnwood Municipal Court = Case Dismissed! DV Assault in Bellevue Municipal Court = Case Dismissed! DV Assault in Kirkland Municipal Court = Case Dismissed! Non-DV Assault in Seattle Municipal Court = Case Dismissed! DV Assault in Sammamish Municipal Court = Case Dismissed! MIP in Renton Municipal Court = Case Dismissed! 2nd MIP in Mercer Island Municipal Court = Case Dismissed! At Community Law Firm, PLLC, we strive to provide the best legal services to each and every one of our clients. We use our education, experience, knowledge, and creativity to deliver each client the most effective DUI defense based on their circumstances. You deserve a lawyer who tries his best. At our firm, our Seattle DUI lawyers fight every case as if it is our only case. We have assembled a team of exceptional lawyers to assist you. Our lawyers listen to our clients’ questions and ideas, communicating with them, and keeping them informed regarding all developments in their drunk driving case. *We work hard to obtain the best possible results for our clients but no lawyer can guarantee success of your case. Every case is unique and the outcome in your case depends on a number of factors. We provide the above results to showcase the resolutions achieved in 2015. They should not be used to evaluate the success of your pending charge. Community Law Firm, PLLC has offices in Bellevue and Seattle. We defend drunk driving charges in Municipal, District and Superior Courts in King, Snohomish, and Pierce Counties. Obtain a “not guilty” verdict at trial, a dismissal prior to trial, or a reduction to a lesser charge. Save our clients’ driver’s license. Keep our clients out of jail. Drunk driving cases are complicated, but they can be won when the right Seattle lawyer is on your side. Washington State legislature first enacted laws which made it illegal to operate a motor vehicle while intoxicated were enacted in 1909. By 1950, our state saw devices capable of measuring breath alcohol concentration put into use. At that time, a driver was presumed to be under the influence if his or her blood alcohol concentration was .15% or more. In 1969, the threshold for blood alcohol concentration was lowered from .15% to .10%. In that same year, our voters approved the “implied consent” law. Under the “implied consent,” a person was presumed to have consented to breath or blood test by driving on a public road. 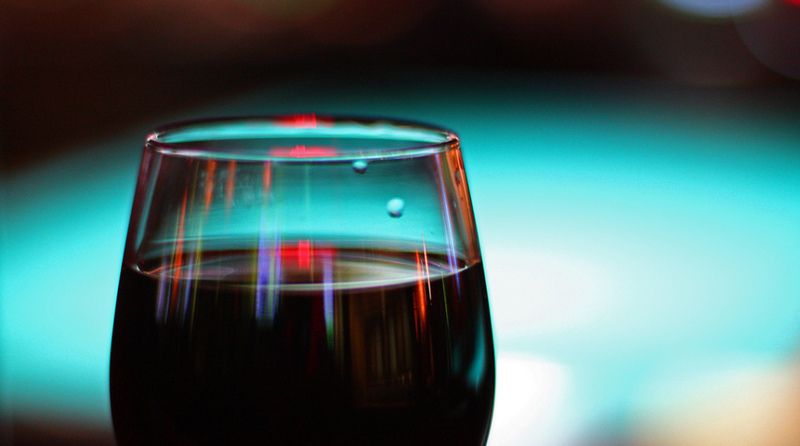 The threshold for blood alcohol concentration was lowered again in 1999 to .08%. The threshold level of .08% still remains in effect today. In 2012, Washington State also imposed a maximum threshold of 5 nanograms per milliliter of blood for THC. Within two hours after driving, had a THC concentration of 5.00 or higher. 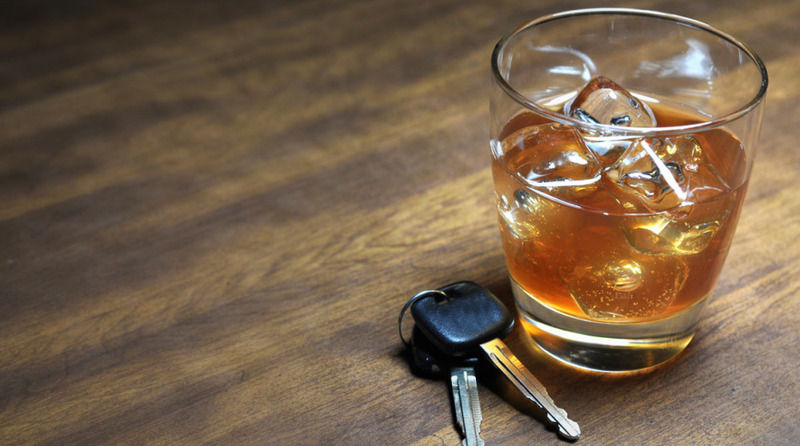 For a complete list of elements of the Driving Under the Influence law, please consult with a Seattle DUI attorney. If there is no evidence of blood or alcohol analysis, or if the blood or alcohol concentration do not reach the per se levels specified in the statute, the driver may still be convicted of DUI under the “affected by” prongs of the Washington State drunk driving statute. Is under the combined influence of, or affected by, intoxicating liquor, marijuana, and any drug. To convict the driver of drunk driving under the “affected by” prongs, the prosecution will rely on pre-arrest evidence, such as the officer’s observation of the driver at the time of the stop and the driver’s performance during field sobriety tests. This is why every Seattle DUI attorney recommends that drivers decline to take field sobriety tests. Many drivers do not realize that you do not have to have a blood alcohol concentration of .08% to be convicted of drunk driving in Washington State. This is why it is important for you to retain an experienced Seattle DUI lawyer to help you with your case. Again, this is not a complete list of the elements of the DUI statute. For a complete analysis of the Washington State drunk driving laws, please schedule a free consultation with our Seattle Driving Under the Influence attorney. We have not met a Seattle DUI attorney who does not think that Washington State has some of the toughest drunk driving laws in the country. Every Seattle Driving Under the influence attorney will tell you that the penalties for DUI in this state are severe and can ruin a person’s life. It is important that you choose the right Seattle DUI lawyer to help you avoid many of these court-imposed penalties. The higher legal fee that you pay for a good Seattle Driving Under the Influence attorney will be well worth it because you increase your chances of saving thousands in court-imposed costs. The mandatory jail sentence, fines, and license suspensions in Driving Under the Influence cases vary depending on the driver’s blood alcohol concentration, number of previous Driving Under the Influence convictions, and other circumstances surrounding the incident. For a full discussion of the Driving Under the Influence penalties, please visit our Driving Under the Influence “Penalties” section or speak to a Seattle DUI attorney. As you can see, the consequences of a Driving Under the Influence conviction are not limited to court-imposed penalties. Effects of a DUI conviction last for many years and impact one’s family, work, and social life. People always ask about the most successful defense strategies. Unfortunately, there is no secret to beating a drunk driving charge. The best Seattle DUI lawyers use a combination of their experience, knowledge, and creativity to craft successful Driving Under the Influence defense strategies. Often, the greatest help in successfully defending a drunk driving charge comes from the clients themselves. The best Seattle DUI lawyers work with their clients. To help your Seattle DUI lawyer successfully beat your Driving Under the Influence case, you must first understand your rights when it comes to dealing with law enforcement. Stop of the Vehicle and Detention of the Driver. You do not have to be a Seattle DUI lawyer to know that law enforcement officers have legal authority to stop drivers for traffic infractions. If a driver is stopped for a traffic infraction, the driver has a statutory duty to stop and allow the law enforcement officer to inspect their driver’s license, registration, and proof of insurance. Additionally, drivers are required to step out of the vehicle upon the officer’s request. But that is it! Drivers are not required to answer any other questions, and our Seattle DUI attorney suggests that you do not answer them. Always remember that “anything you say can and will be used against you in court.” See every question the officer asks you as a chance to build evidence against you. The purpose of questions like “where are you coming from?” and “where are you going?” is to determine if you have been drinking. That will allow the officer to ask you to perform field sobriety tests. And it can all go downhill from there. 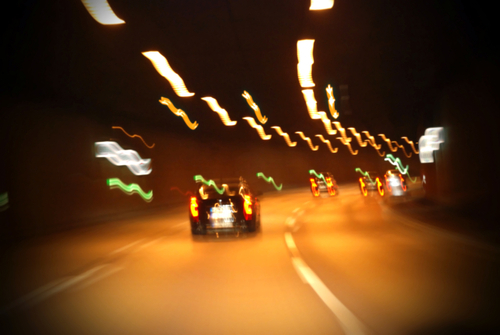 Listen to an experienced Seattle DUI attorney and decline to perform field sobriety tests. Remaining silent and politely declining to answer the officer’s preliminary questions will give your Seattle Driving Under the Influence lawyer a much better chance at winning your drunk driving case. If the officer suspects that a driver is driving under the influence, the officer will ask the driver to perform field sobriety tests. Officers use field sobriety tests to establish probable cause to arrest the driver for driving under the influence. As any Seattle DUI attorney will recommend, you should never perform field sobriety tests – even if you think you will pass them. Drivers are not obligated to perform any field sobriety tests – these tests are voluntary. As every competent Seattle DUI lawyer would recommend, you should always decline to perform field sobriety tests. Here is a little secret from a Seattle Driving Under the Influence lawyer – if the officer is asking you to perform field sobriety tests, the officer probably already has enough evidence to arrest you for DUI. So why is the officer asking you to perform field sobriety tests? To build more evidence that can be used against you in court. Getting arrested for drunk driving is one thing – being convicted of it is another. The purpose of field sobriety tests is to provide the prosecution with another way to convict you of Driving Under the Influence in court. If your BAC level (or THC level) is below the legal limit, the government can prosecute you for DUI under the “affected by” prongs if you perform poorly on field sobriety tests. And the officer will always say you did poorly. So if you decline to perform field sobriety tests, like a Seattle Driving Under the Influence attorney says you should, the prosecutor will have one less tool to use against you in court. This will substantially help your Seattle DUI lawyer beat your Washington State Driving Under the Influence case. Following field sobriety tests, the officer will ask the driver to take the portable breath test (PBT). It is important that you do not confuse the Portable Breath Test with the breath test administered at the station. PBT is typically given at the roadside at the time of the stop using a small, hand-held device. Results of the PBT test give officer probable cause to arrest drivers for drunk driving. These results are not admissible at trial under the Frye test. Before we discuss the next part, we want to remind you again not to confuse PBT with the officer breath test performed at the station. Here is why – PBT is voluntary, and a smart Seattle DUI lawyer will advise you to decline taking the PBT. Declining to perform the official breath test at the station, on the other hand, will result in harsh penalties. So remember this advice from a Seattle DUI attorney: say “no” to PBT in the field, and say “yes” to the official breath test at the station. Even though PBT results are not admissible at trial, a knowledgeable Seattle Driving Under the Influence attorney will still recommend that you decline the PBT. PBT results are used to determine probable cause to arrest the driver. Without field sobriety tests and without a PBT result, the officer may not have probable cause to arrest you for Driving Under the Influence. If the arrest is made without the field sobriety tests and without the PBT, your Seattle DUI attorney will have a better chance of winning your case. We fight Driving Under the Influence charges in Seattle. Contact a Seattle Driving Under the Influence attorney for a free Consultation at (206) 771-4343. DUI is a serious charge. The penalties are long-lasting and detrimental to your life as a whole. You need an aggressive Seattle Driving Under the Influence lawyer to fight for you and give you the best possible chance at a positive outcome. Retain an aggressive Seattle DUI lawyer to fight for your rights. You deserve the best strategy for your defense, whether this is your first drunk driving charge or not. It is important to call a Seattle DUI attorney who knows how to help you. It takes a knowledgeable Seattle DUI attorney to not let the prosecution push you around. You need an aggressive DUI lawyer to fight for you and get you the best possible result in your drunk driving case. A DUI conviction can be devastating to your career, your social life and your family life. If you find yourself arrested for drunk driving, the best thing you can do for yourself is to hire a skilled DUI attorney in Seattle. You should choose your DUI lawyer carefully since he or she may be the only person able to get you out of this terrible situation. Community Law Firm, PLLC has offices located in Bellevue and Seattle. At Community Law Firm, PLLC, our Seattle DUI lawyer defends drunk driving charges throughout King County and in parts of Snohomish and Pierce Counties. Our Seattle Driving Under the Influence lawyers are happy to meet our clients in all cities where we practice; the meetings do not have to be in our office. In King County, our Seattle Driving Under the Influence lawyer provides legal assistance in Auburn, Bellevue, Burien, Kirkland, Redmond, Renton, Mercer Island and Kent. Furthermore, we help clients in eastern parts of the county such as Issaquah, North Bend, and Snoqualmie. In Pierce County, we limit our Seattle DUI lawyer legal services to Tacoma. In Snohomish County, our Seattle Driving Under the Influence lawyer helps people in Everett, Bothell, and Lynnwood. NHTSA is a federal agency established to achieve standard of highway safety through initiatives targeted against drunk driving. MADD is probably the largest national advocacy group against drunk driving. Both school provide visitors with excellent tools for legal research. ¿Me pueden dar un DUI en bicicleta en el estado de Washington? ¿Qué hay con respecto a un caballo? 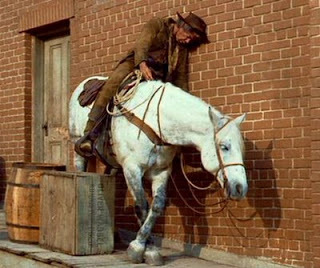 ¿Me pueden dar un DUI montando un caballo? Can I get a DUI on a bicycle in Washington State? What about a horse? 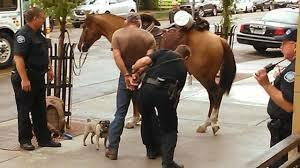 Can I get a DUI on a horse? I strongly endorse Mr. Sarkisyan as a colleague and friend. Greg is a man of strong character and know how who is committed to assisting his clients from day one. Please, press the button to contact us and describe your case!